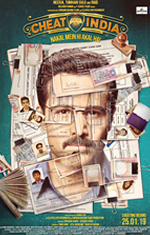 Dowload Phir Mulaaqat Mp3 Song from Movie Cheat India (2019) Sung By Jubin Nautiyal. Phir Mulaaqat song music is composed by Guru Randhawa, Rochak Kohli, Krsna Solo, Soumik Sen, Agnee and the movie is released on January 25,2019. Cheat India have 6 more songs other than Phir Mulaaqat that you can downlad from this website.